Hai Lang, Quang Tri (22 September 2016) – Veteran Nguyen Sanh, who lives in Phuong Lang Village of Hai Ba Commune, never imagined that his experience defending the northern border against Chinese invaders more than thirty years ago might one day help prevent an explosion at his son’s property. The 53-year-old father was visiting his son, who was building a new house, when he saw bricklayers mixing concrete for the foundation. Next to them was pile of gravel just unloaded from a truck. The elderly man noticed a strange object lying on top of the gravel pile. The cluster bomb found lying on top of the gravel pile. Looking more closely, Sanh realized it was a cluster bomb. With two years of fighting to protect Vi Xuyen border of Ha Giang from Chinese invaders, Sanh was sure knew with certainty that the bomb could detonate at any time if disturbed. He immediately asked the laborers to stop working while he called the UXO hotline number to report his discovery. RENEW’s EOD Team No. 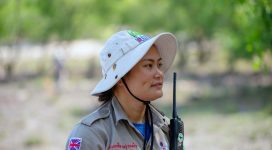 1, led by Team Leader Le Xuan Tung, was dispatched to Phuong Lang Village to respond to the UXO callout – despite torrential rains. Because the cluster bomb was extremely unstable to remove, Tung announced that the team had to destroy it in place. He directed his team members to inform nearby villagers of the demolition and evacuate them to a safe area before the team took action. 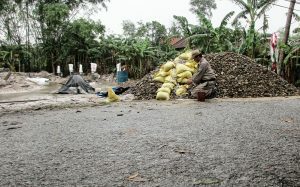 Team Leader Le Xuan Tung preparing for the demolition of the cluster bomb in place. When all sentries were in place, Team Leader Tung announced a final countdown over the radio and activated his firing device. The demolition was successful and the workers resumed construction after that. 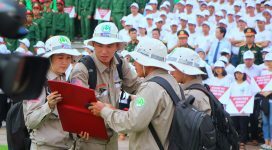 So far in 2016, Project RENEW has conducted 534 EOD spot tasks in response to UXO discoveries that local people called to the hotline number of the Legacies of War Coordination Center (LWCC). Those calls were then relayed directly to the teams. 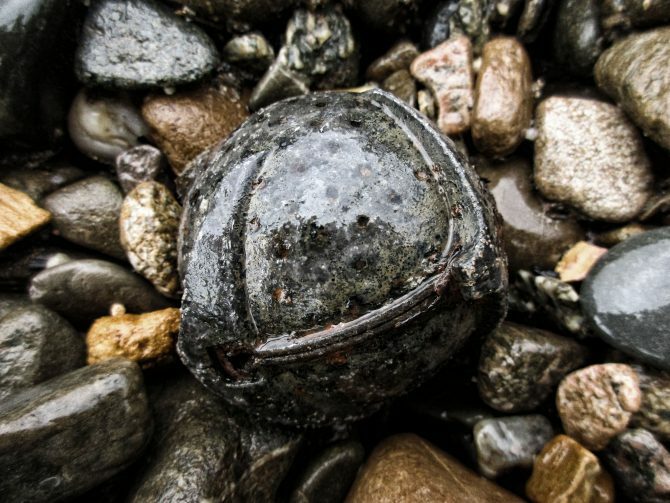 As a result, 2,153 items of UXO have been safely removed and destroyed. Since Jan 2016, Quang Tri Province has consolidated all reports of UXO sightings through one hotline number. 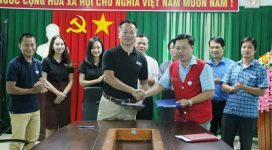 This has increased efficiency and response time as the LWCC processes information and takes immediate action to task appropriate mine action operators such as Project RENEW/NPA, MAG and PeaceTrees Vietnam to deploy their teams to the sites.